Ebrahim K Kanoo, a diversified business conglomerate based in Bahrain, has become the distributor of Dulux paints, a leading global premium decorative paint brand, through its subsidiary, Kanoo Paint Centre (KPC), located in Salmabad. 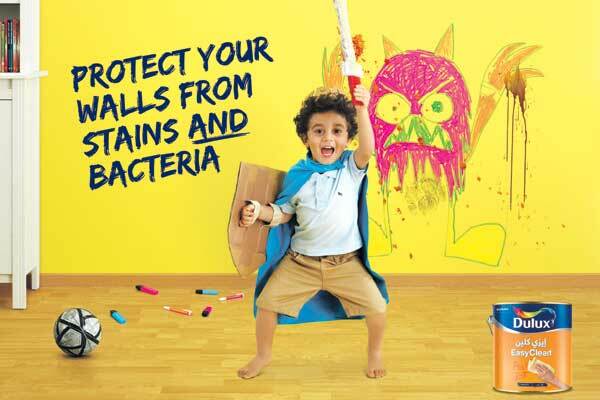 Dulux, a leading brand of AkzoNobel, brings a new colour delivery system with best-in-class colour accuracy and strength, where customers can choose ‘any colour in any product’ from its interior and exterior range, encompassing over 2,000 colours, said a statement from the company. The new Dulux product range that is being introduced to Bahrain features the latest global technology that meets the diverse requirements of customers, such as Dulux Ambiance range, one of the most premium aesthetic paints for interiors across the world; Dulux EasyClean, a stain-resistant, anti-bacterial and washable premium interior paint which is perfect for families with kids; Dulux PureAir, a great innovative product which absorbs formaldehyde from the indoor air and help to improve the wellbeing of the family, it said. The Dulux exterior range also features edge-cutting innovation, such as Dulux Weathershield Powerflexx with crack proof technology that ensures eight-year complete weather and colour protection in extreme conditions, it added. “As the market for high quality architectural paints continues to grow in Bahrain with the growth of the real estate sector, we at our company will continue to offer the best professional paint solutions and most efficient after-sales services to our customers in Bahrain,” he added. “Dulux is a leading paint brand globally and with the support of our Bahraini partners at Kanoo Paint Centre, we can now guarantee a higher level of support and solutions to our consumers and project customers in Bahrain,” he added.